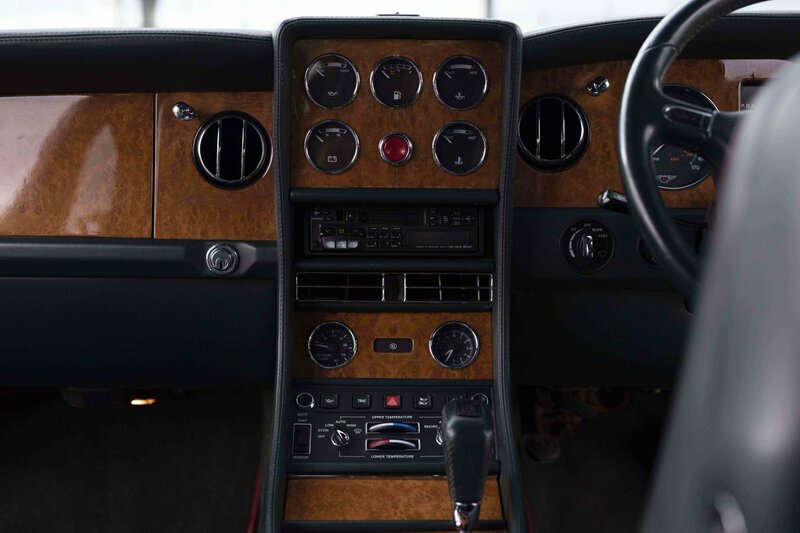 The first Continental Coupe since 1966 used the 'R' suffix to recall memories of the R-type. 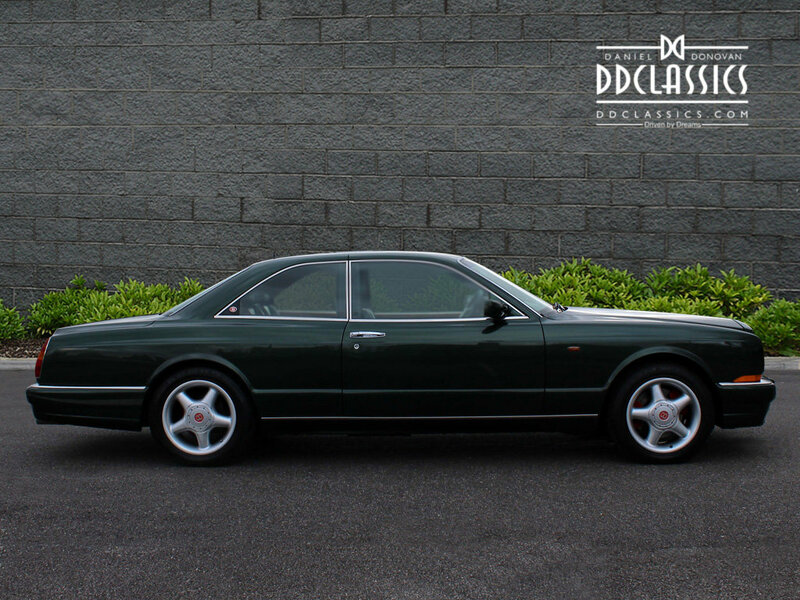 The name wasn't taken in vain, for this was also the first individually-styled Bentley since the Sixties. 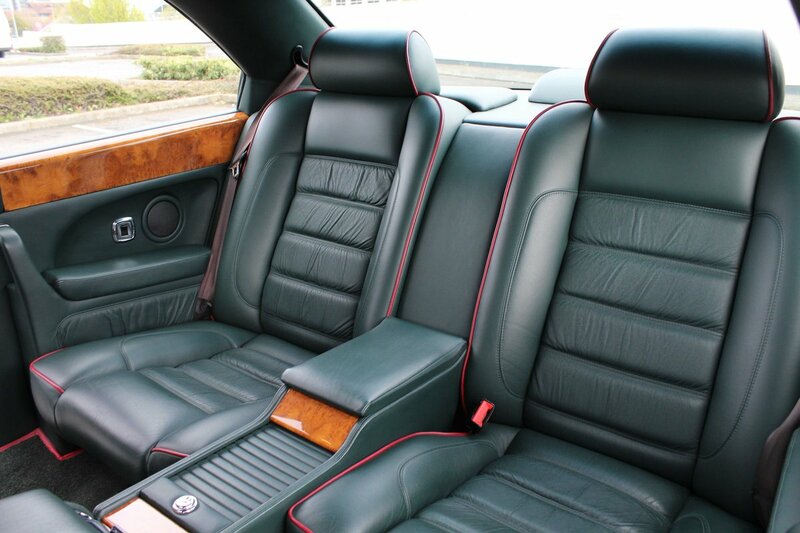 Launched in 1991, the Bentley Continental R was a large, ultra-exclusive, luxury coupé made by Bentley until 2003. 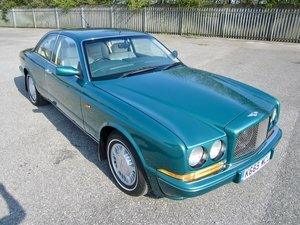 It was the fastest, most expensive, and most powerful Bentley of it's day and was also the most expensive production car in the world at launch. 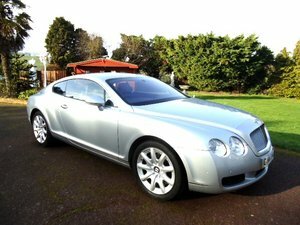 It was substantially more streamlined than the contemporary Bentley saloons and the stalwart 6.75 litre V8 engine was boosted in power. 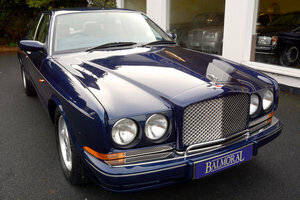 Presented here is a 1998 Continental R ‘Jack Barclay Special' coach-built by Mulliner Park Ward. 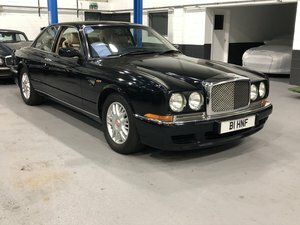 This very special car is 1 of only 5 examples specifically commissioned in 1996 by the world's largest and oldest Bentley dealership, Jack Barclay of London. 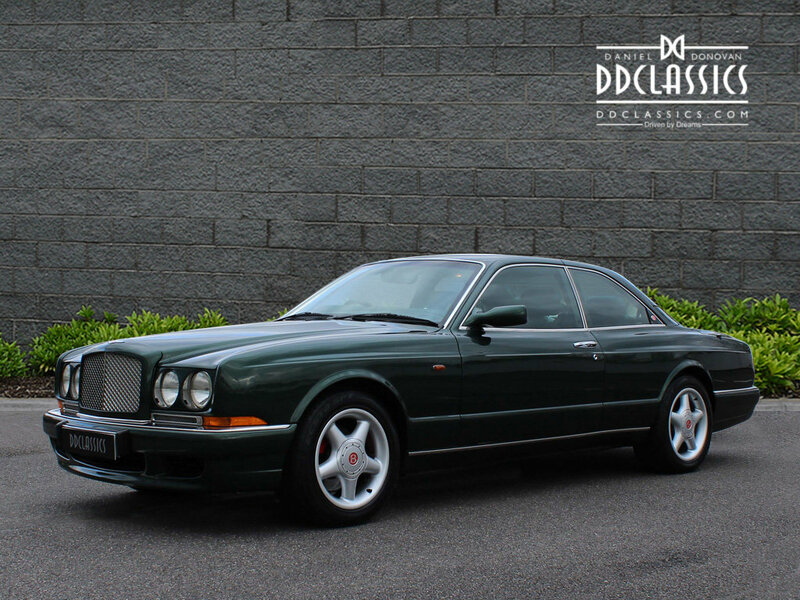 Known as a Dealer Limited Edition and ensuring maximum exclusivity, these 5 cars are highly sought-after. 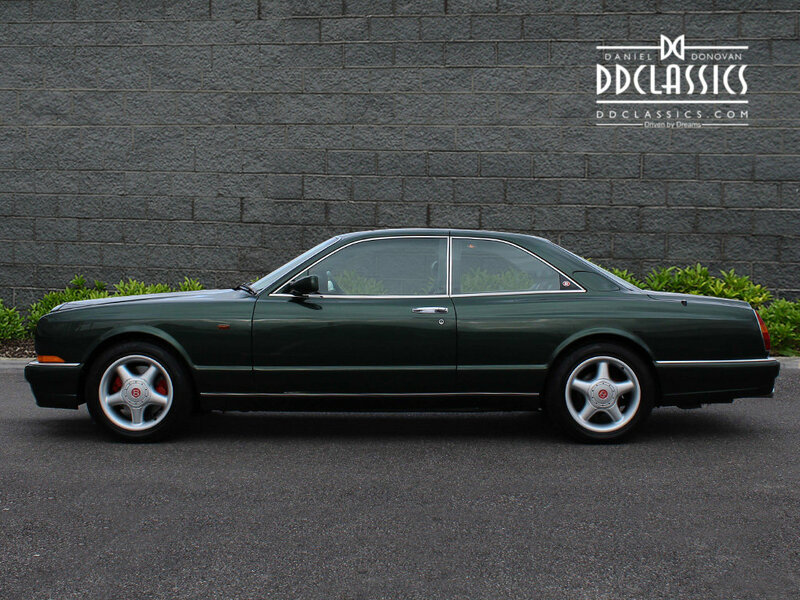 If you were fortunate enough to be able to buy one in 1996, the original purchase price wasn't far off £200,000. 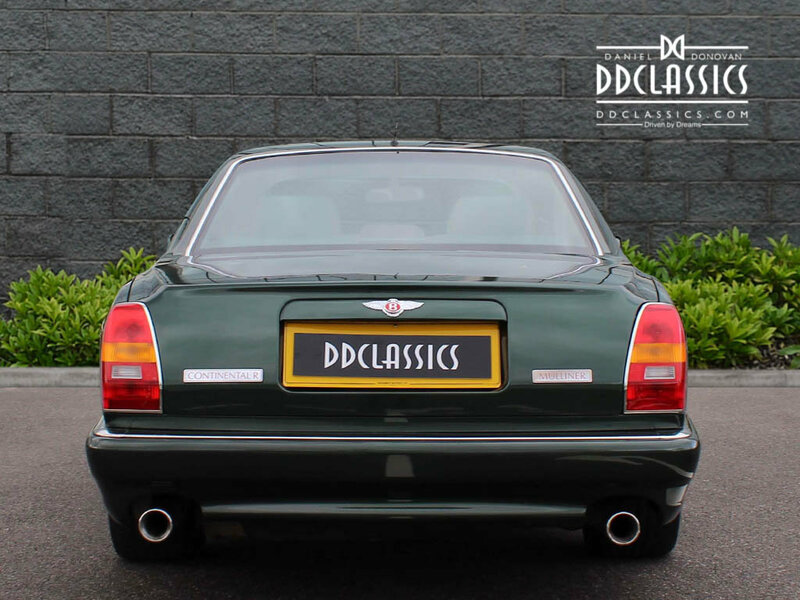 As when new, the car looks resplendent in beautiful, special order, Holly Green paintwork and features a Spruce Green hide interior edged in St James Red piping. 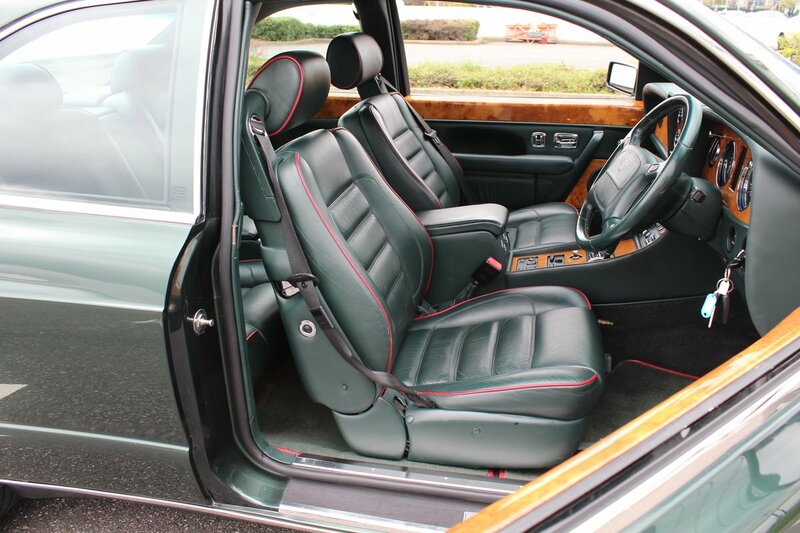 This model featured lowered suspension, widened bodywork, a re-profiled front air dam and an upgraded interior. 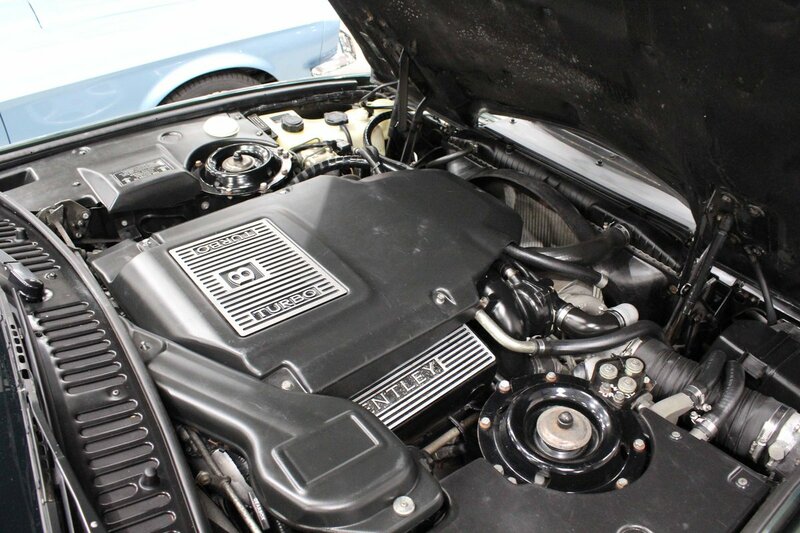 This particular car's overall condition is excellent, and the driving experience it will give you is exceptional. 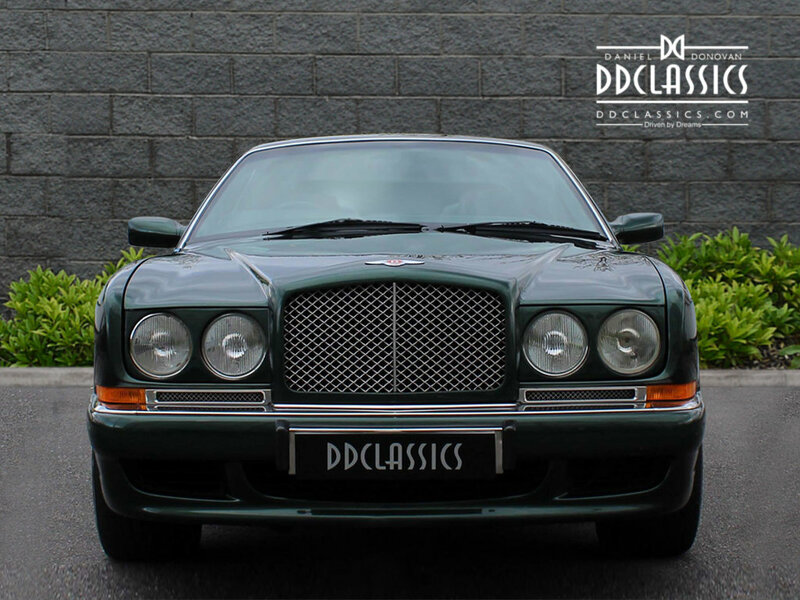 The car is accompanied by a copy of its original build sheets from Bentley, a thorough servicing history and many invoices. It is equipped with optional extras such as Burr oak veneer, Matrix grille and an Inter-cooled turbo. 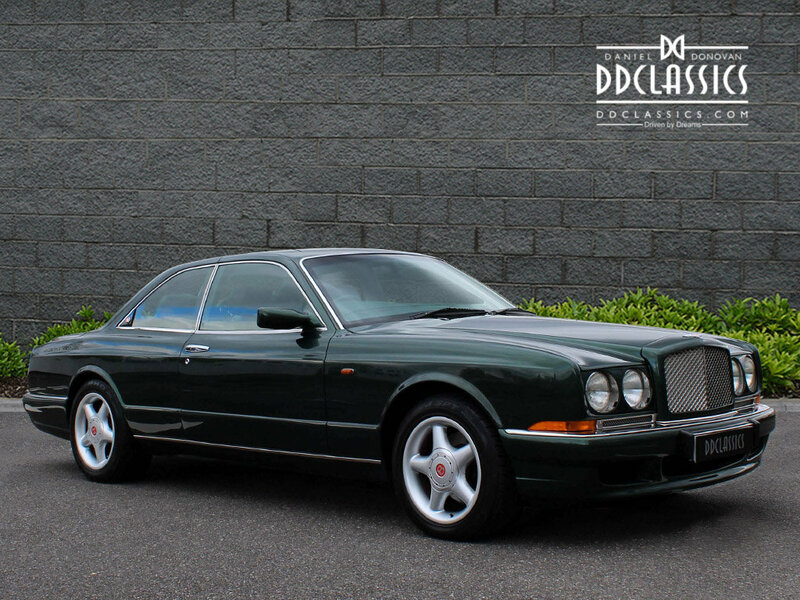 This ultra-rare Bentley has covered just 31,000 serene miles and been enjoyed and driven, as these cars were designed to do. 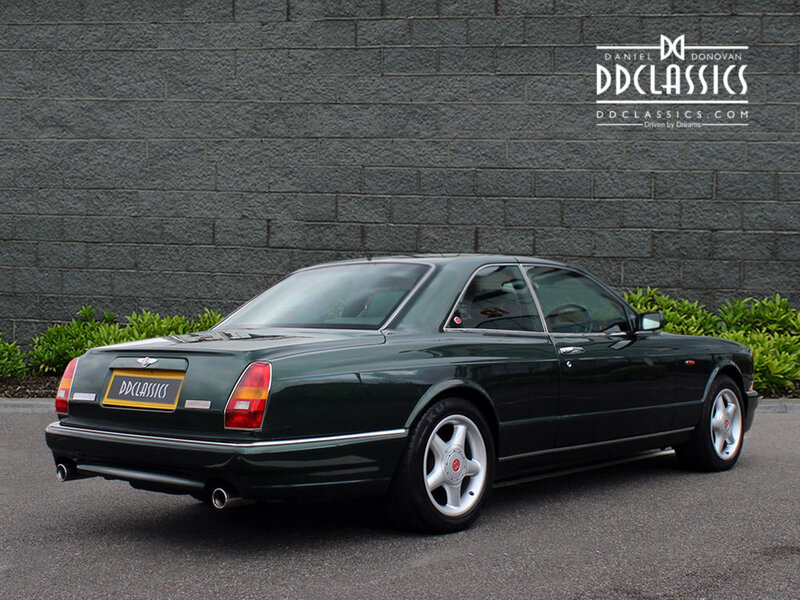 Modern-era Bentleys deserve to have the renaissance they richly deserve and this beautiful Continental R ‘Jack Barclay Special' whilst being competitively guided, opens the door into a very exclusive club. 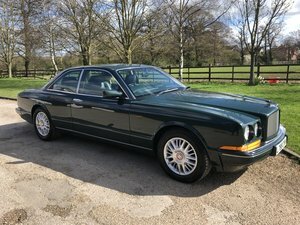 Now ready to be enjoyed by a new owner, this is one not to be missed, and it has the potential to be a shrewd investment as well as a sublime means of transport for many years to come. 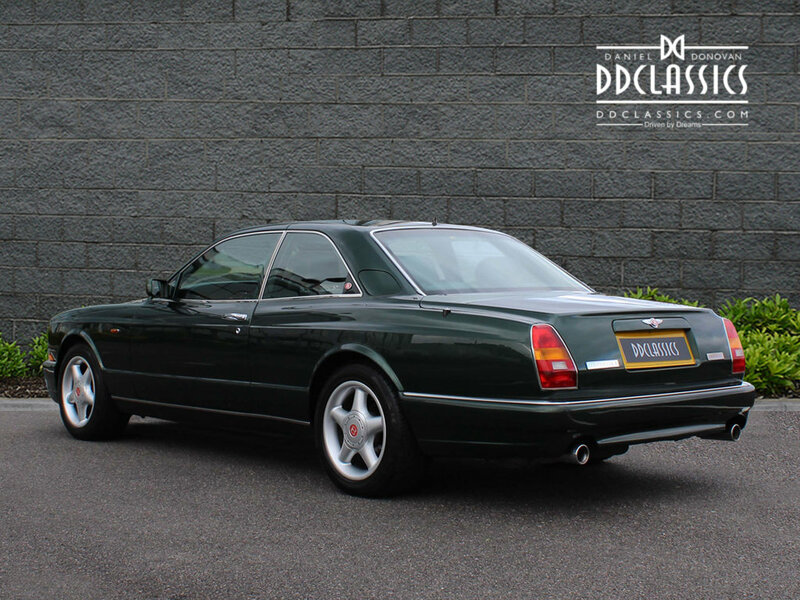 Available for viewing at the DD Classics Dealership in London, please call 0208 878 3355 for more information.